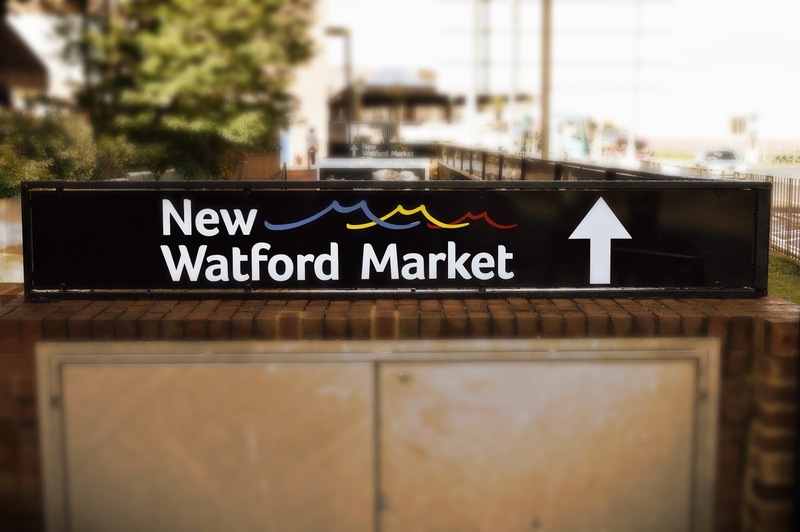 L4G South West Herts District: The new Watford Market opens its doors... to rapturous applause? 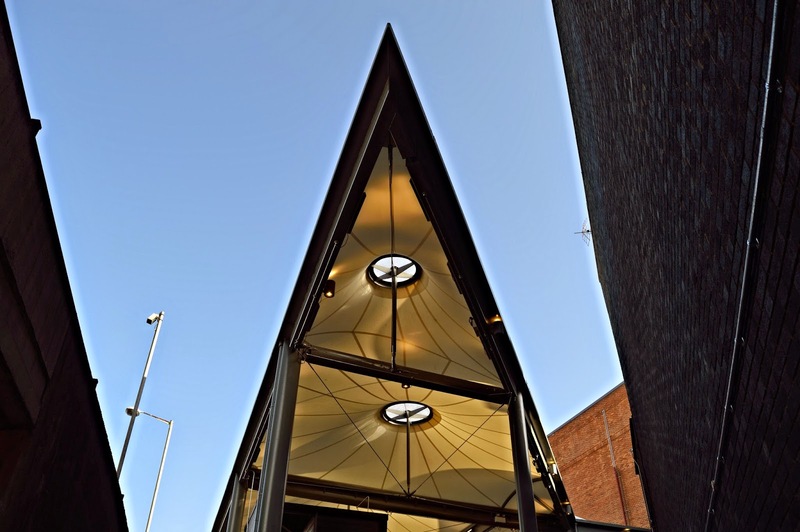 The new Watford Market opens its doors... to rapturous applause? In a second blog post about the #WatfordMarket I thought that I would share some of the initial thoughts, the feedback from the market traders and the reactions from some of the general public. Well it was all very exciting... I turned up around 10:10am on the Friday the day the new market started operating (official launch 31st October). This must be considered a bit of a soft launch as there are still traders not operating there as yet... some parts of the market are unfinished too resembling a building site in places. The electrics are not complete either, the lift wasn't working on Friday (was functional on Saturday) and there were seemingly a million and one teething problems. Nevertheless, the market seemed bustling and there was plenty of action. I bumped into a huge number of people I knew who were there checking out this quite significant development in Watford. So what did I make of this move for the Market? If the truth be known I never actually liked the concept of the Market being inside like it was at Charter Place but after 38 years you just get used to it. This new market though has a challenge too. Firstly it is quite a distance from the buses. Yes you can walk down to it from the bus stops in the high street or Beecham Grove but where the old market was the older generation could just fall into it... now it's a fair walk. Many of those that congregated at Ell's kitchen used supports for walking or shopping trolleys and quite a few others; buggies to get around. I just can't see how these folk are going to be able to use the new market. The testimony to this was that I saw only one buggy there over the two days I was there... and very few of the older generation that would have frequented the old market. The new market is also small... 44 stall holders. I think that without exception every stall holder I asked said that they have had to compromise on space, to be honest they all looked to be struggling in cramped operating conditions. The Fruit & Veg stall outside in the main high street I think is a huge bonus. This is a clear signpost to the new market and brings a fresh splash of colour to the pedestrianised section of the high street. I have little doubt that this development will be a huge success, you never know we could actually start to see people buying fresh fruit and veg and cooking wholesome proper food!! The card stall holder had around half of his stock on display... he had twice the space for the same price down the road... Aylesbury fisheries were operating in a far more cramped environment even with some of their produce in the open definitely not going to be possible when raining. A couple of poor design flaws that have become evident almost immediately. The stairs to reach the food court are narrow... this makes it difficult for people to pass and I can see some issues with this at peak times. There should be at least two sets of stairs, there is another which is labelled as a fire exit... I am not sure but it would be useful to have this opened to the public too. One lift on site means that this is going to be a bottleneck and waiting for it is right in the main thoroughfare to get into the market... There should have been two lifts. Upstairs there is a viewing gallery to look down below. Check out the pictures to see this. Again this is far too large. The issue upstairs is one of seating. If this gap was 2 feet smaller all round it would have provided ample additional seating all around the upstairs with views to the passing people below, this would have made the space much more functional. As it is this is going to be a challenge. I quite like the new market and it is perhaps a little unfair to evaluate it fully until it is officially finished at the end of the month. The feeling is one of 'outside' like a proper market, with a nip in the air, and market type smells. The roof is aesthetically pleasing too, although questions over whether it will be totally functional with heavy rain and wind blowing in from the sides are yet to be answered.